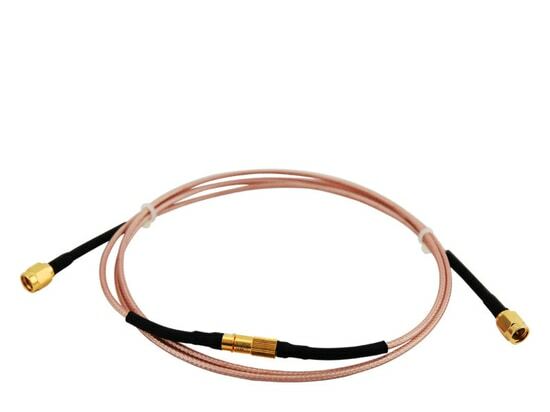 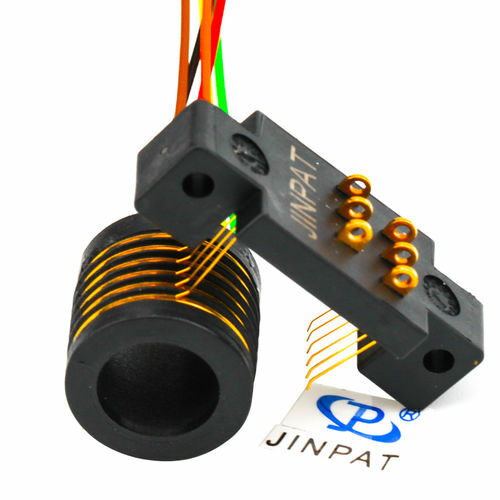 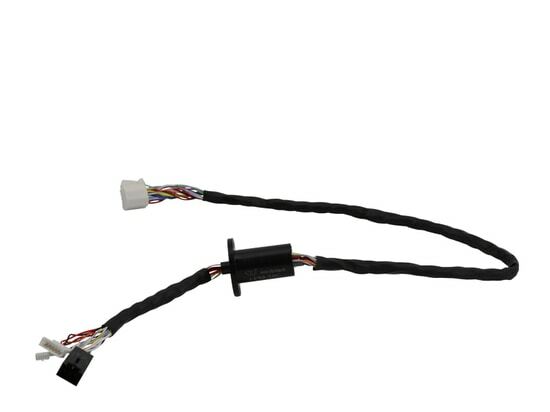 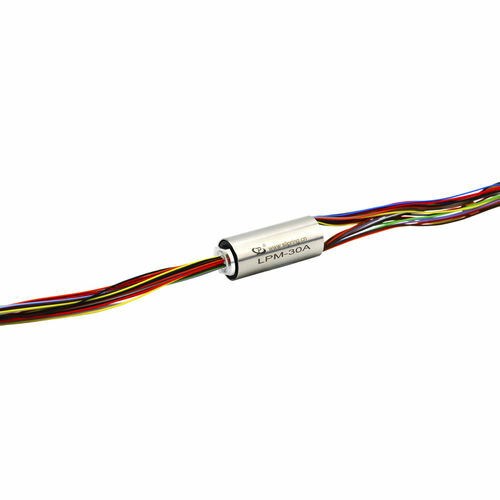 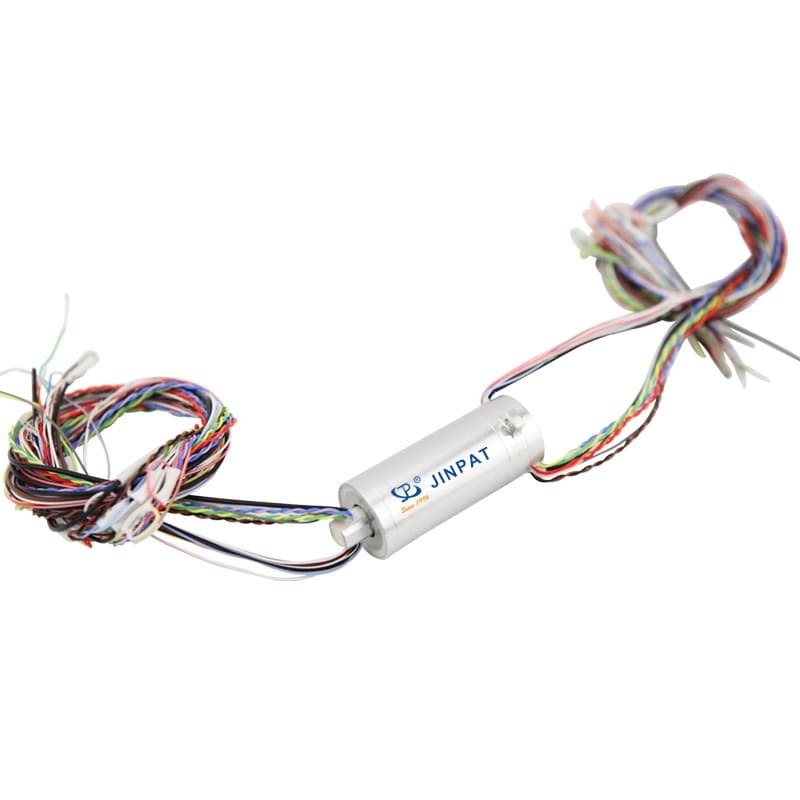 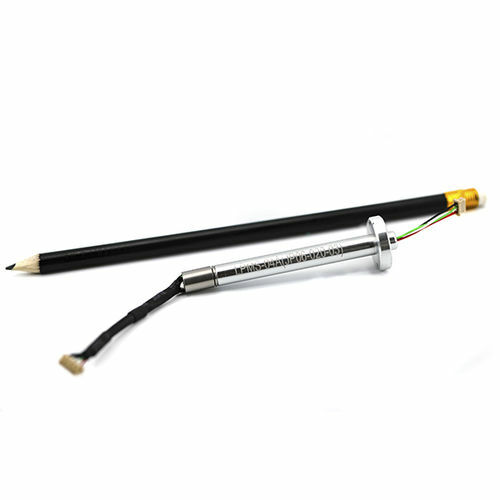 Slip Ring with Connecting Wire in Lateral Side - Shenzhen, Guangdong, China - JINPAT Electronics Co., Ltd.
A slip ring can be designed to enjoy the desired performance in electrical or mechanical aspects. 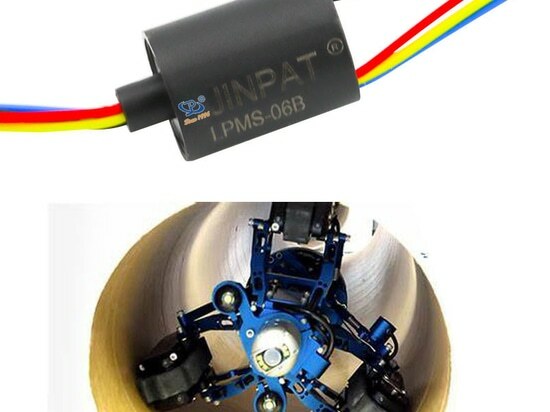 When these needs are met, then installation remains the last problem. 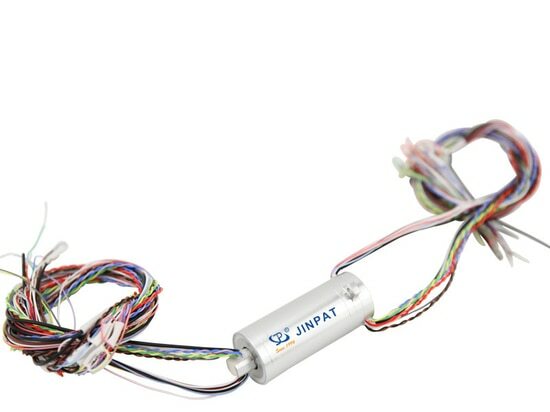 For the clients, JINPAT will do its best to solve the problems customers confront in the process of installation. 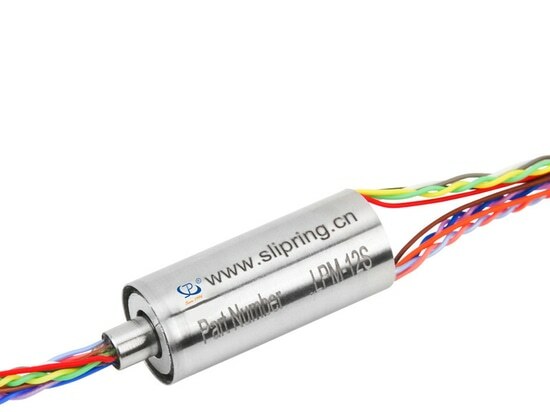 As to the capsule slip ring shown on the right, it transmits current and some signals like HD-SDI video signal, gyro serial port signal, comprehensive control port signal, and common signals. 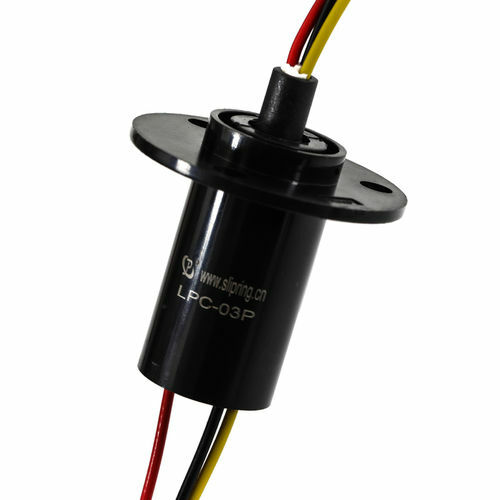 The unit features not only light figure but also a small torque, fitting its application in the electro-optical pod. 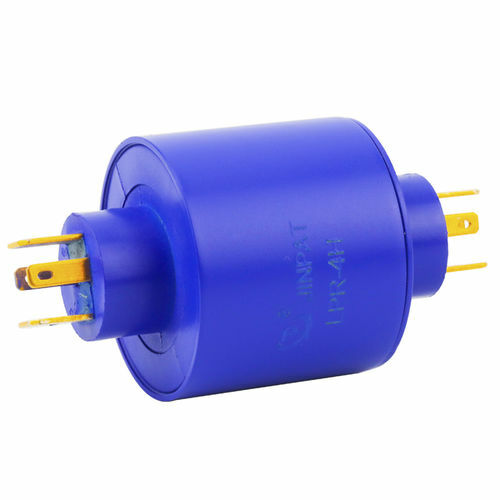 To be suitable for the equipment and achieve an optimal transmission solution, it has its wires connected in the lateral side. 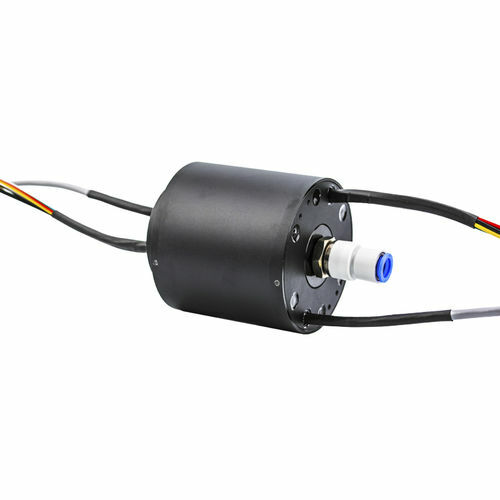 In terms of electrical performance, the small torque slip ring also has a low dynamic resistance fluctuation value of no more than 15mΩ. 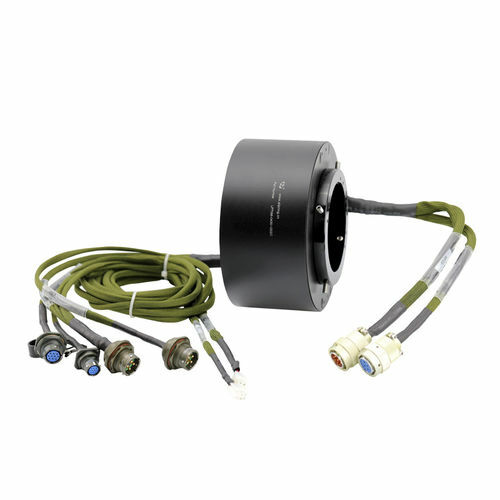 Apart from providing a connector or terminal processing for clients, we have our own CNC center so that we can provide one-stop service of supporting parts manufacture like housing or other mounting-related mechanical parts.